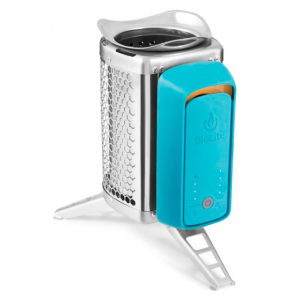 Outside of those who share BioLite's concern about using biomass fuels cleanly, the BioLite CookStove is best suited for gadget lovers who like to play with fire. Being a wood-burning stove that requires electricity, this is an odd bird; This stove will keep you busy. 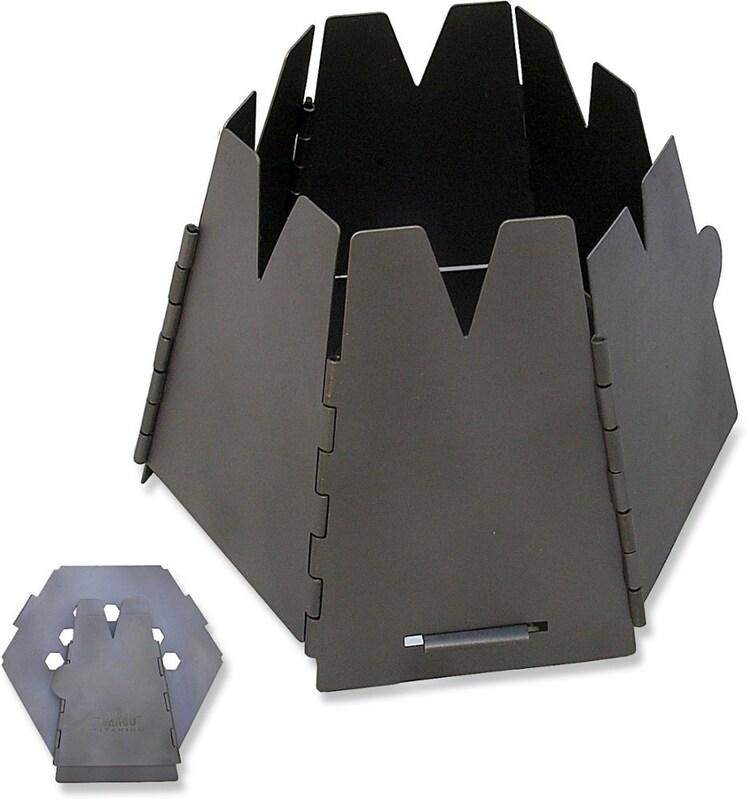 I would not recommend it for most recreational backpackers due to the listed cons, but for car camping, bug out / emergency use, or simply as backcountry entertainment, this stove could fit the bill. 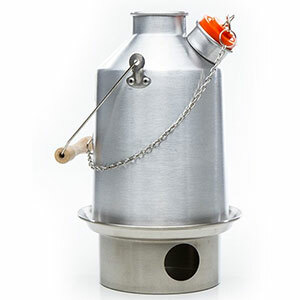 The BioLite CookStove is essentially the non-electricity producing version of the CampStove (which employs TEG technology to produce electricity). The fan module uses an internal, rechargeable, lithium-ion battery. Fuel is biomass: twigs, sticks, pinecones, wood pellets, etc. The unit ships with a USB charging cable and a small pack of fire starters. Setup is easy and intuitive: you simply attach the fan module to the side and fold out the legs. This stove is not self igniting. The right tinder can be lit with a match, but I mostly used fire starters for convenience. BioLite warns against using liquid starters. I used a couple different types of fire starters after running out of the included starters. The small half dome shaped starters (such as the Lightnin’ Bug brand) did not work well as they often went out when you tried to drop them in the canister; I found the longer stick shape to be much better (like Coghlan's Fire Stick). The fan module has four speeds. 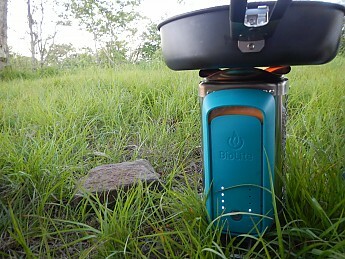 BioLite calls them Campfire, Simmer, Boil, and Turbo. However, the fan speed I used depended on how much fuel was in the stove and how it was burning. For example I was often able to boil water with the lowest fan speed. Hardwoods performed differently from softwoods, dry wood burned faster than wet wood, etc; the materials on hand were the primary variable and the degree of variability was huge. It was tricky to get the right amount and type of wood if I really wanted to control the flame. I don’t normally cook much on my trips; I’m usually just a water boiler type of guy. I took this testing opportunity to expand my activities a little and did some frying and simmering while in the backcountry. Simmering: Too much fuel or too high of a fan speed and a simmer was very difficult. Learning what the right amount of fuel was to maintain a simmer took quite a bit of experimentation and this was a constant experiment from location to location. Different types of wood seemed to result in different levels of heat output. I found simmering was best done by letting the wood burn down to coals (you don't want flames shooting out of the top of course), and sometimes dumping some coals out. I once actually achieved a good simmer by turning off the fan altogether and letting a few coals burn down. Boiling: This was an easier matter as it didn't really matter if it got too hot. I didn’t have a need to fully boil anything for more than a couple minutes, but you might need to remove the pot to add more fuel at some point if you did. Boil time was highly variable; again because the fuel source was such a variable, but 2 cups of water (what I typically use for a small cup of coffee and oatmeal or rehydrating a dinner) would come to a full roiling boil in about 2 minutes or so with both the skillet and pot I used during testing. A fish-egg boil could be achieved in about 1.5 minutes. I only used two different vessels during testing and they performed similarly though the wider skillet seemed to boil a little faster. Frying: This required a bit of setup and dexterity. I had to be ready to move the pan and add more fuel / or increase the fan speed to keep the heat level up. It was a pretty busy affair. 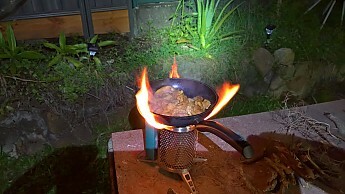 Once it was lit, the stove worked just fine in the moderate wind I tested in. The primary concern in windy conditions was keeping the flames from blowing onto the plastic fan housing (which BioLite warns against in the instructions). Though this depends on type of wood or biomass available (I mostly used fallen hemlock which is plentiful in my area due to adelgid infestation), it was astounding how little I needed to boil water with. After using smaller pieces to start with, adding about 4 or 5 four inch pieces of wood 1/2 to 3/4 inch in diameter was generally enough to make coffee and oatmeal in the mornings. A tad bit more was needed for a longer roiling boil. The first few times I used the stove I gathered way too much wood. BioLite claims that you get 30 hours of cooking on one charge. I didn’t do 30 hours of cooking in my testing but I don’t doubt the claim and think I could get more than that out of it with my two boils a day routine. I initially charged the fan module per instruction via my computer USB port and it took about 3.5 hours to get a full charge. 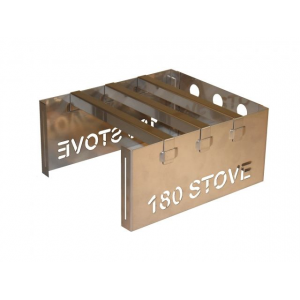 This stove is relatively heavy which helps stability. You do need a wider bottom pot or pan; small diameter cups may not rest well on the wide burner opening. I did almost knock it over a few times by not being careful with inserting sticks, but if you exercise proper caution, no worries. 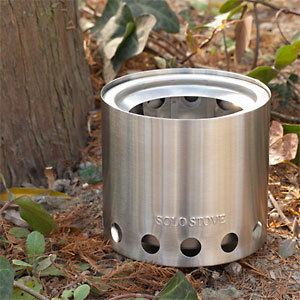 This stove is about the size of a one liter Nalgene and is therefore a bit bulky in your pack. BioLite recommends storing the fan module inside the stove, but that makes it sooty so I either wrapped the module in a plastic grocery bag before inserting or stored it separately from the stove body. This stove seems solidly constructed and durable. They list the legs as aluminum and I think the canister body is stainless steel (they don’t list it). The lines are all straight and the rivets plentiful and sturdy. I would describe this as high quality construction. This really was nice to have on a few occasions but as stated in the cons, the fan noise could interrupt the ambiance at times. 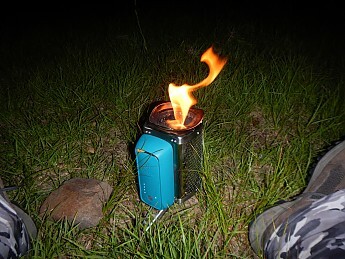 BioLite claims that you can “enjoy an instant portable campfire without the smoke”. This is factually true, but only with the right wood. In wet weather it’s neither instant nor smokeless. In fact, with really wet wood this thing is a heck of a smoke generator. One morning at an AT shelter, my giant column of smoke drew a crowd as people came to see what was happening. I was trying to cook breakfast with very wet wood. It did eventually dry out the small pieces, but for a while it looked like a theatrical stage device. 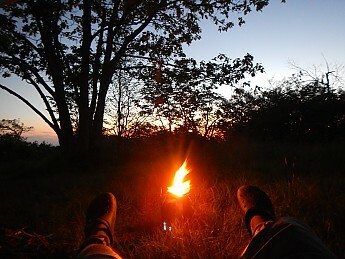 I tested the stove over 8 short (mostly two-day two-night) backpacking trips from May 2016 to July 2016 in the Southern Appalachian mountains of Tennessee and North Carolina. I usually cook two times a day on my trips, but there were some trips where it was so wet that I didn't want to deal with the smoke from wet wood and opted for RTE food instead. 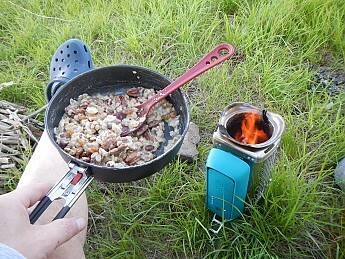 I made between 20 and 25 fires with this stove and none were just tests; I used it for meal preparation every time. I used an MSR Flex Skillet and .75 liter Coleman aluminum pot during testing. BioLite as a company is all about environmentalism with catch phrases like “Energy Everywhere” and “burn wood not gas” and they seem to be globally focused on providing “off the grid” power solutions and “clean cooking” solutions. I personally appreciate their passion and focus. That being said, the primary design goal of this device is to burn biomass fuel and that becomes instantly clear with just a few uses. I’m a recreational backpacker and reviewed this product from that (somewhat utilitarian) perspective and with no specific regard given to environmental impact philosophy or the humanitarianism of its creators. Even so, I struggled a bit with my star rating for this product, primarily because BioLite views this as a packable product in their marketing materials. This stove performed almost exactly as claimed by the manufacturer (which is often surprising to me), but I honestly could not think of many…OK, any, situations where I would recommend this product to someone above another solution. Again, beyond environmental impact philosophy, I found its best feature was really entertainment. 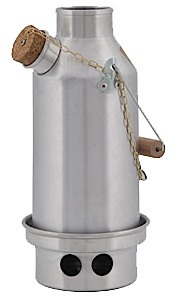 My normal three-season weekend stove kit is a cat food can alcohol stove, a tin foil windscreen and two small bottles of denatured alcohol; that entire kit weighs about 8 ounces total (226.7 grams) and the weight goes down with consumption. So comparatively this 25.6 ounce (not counting fire starters) stove seemed a touch heavy. This is a very well-built product that works as advertised but doesn’t really fit any backpacking niche that I can think of. Great review Patrick! This one is only slightly lighter than the 33 oz Biolite that produces electricity and is only $30 cheaper. While checking it out on their site a 10% off coupon popped up, as well. Great review, Patrick! 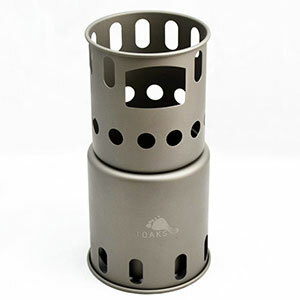 Thanks for taking the time to test and review the CookStove. A very good review. I especially like the honesty rather than hype. Thanks all! Waldy, we do try to keep it real at Trailspace. One of the things I was told about reviews is to ask yourself "what would I tell my best friend about this product?" and I always think of that when writing. I'm glad you enjoyed Patrick's review too, Waldy! Could be great if they backed their products with better customer service. The only customer service is a form you fill out on their website. If they don't answer, you are stuck. You get no acknowledgement after filling out the form. No proof you sent a support request. As much as I want to love Biolite, and I have several products, there is something that you really need to know before you buy their products. Once you buy, you have no support whatsoever, other than a form you fill out on their web site. Then you are at their mercy to answer when they want to, if they want to. They make promises that they don't keep and the customers are left sitting on defective products with no avenue for help other than the form. Please keep this in mind, because when your product is delivered defective, you are stuck with a defective product (as I am), money out the window and not a sound from Biolite. I have filled out the form several times and all I hear are crickets. Hi Jon. It sounds like you had an unfortunate experience with the company and this product. 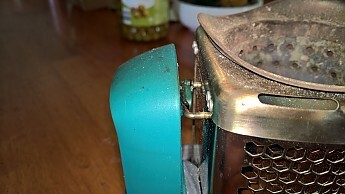 Can you let us know what went wrong with your CookStove? 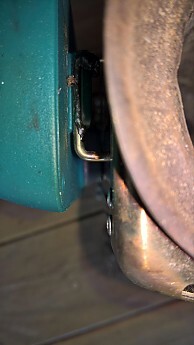 The top hook melted the fourth time it was used. 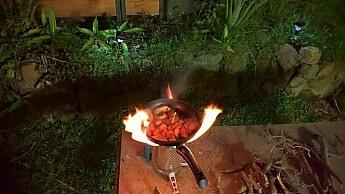 Prior to that it was a lot of fun being able to burn wood both for cooking and having the ambience of a fire. 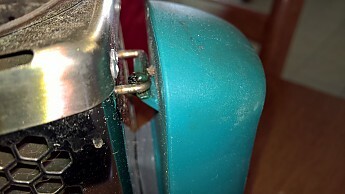 I have only had the Biolite for a few days however it has already melted the top hook so I now can't remove the fan unit. Prior to that I used it at home and at a friend's house and cooked up some chicken on a frypan and the heat level was great once it was going well. 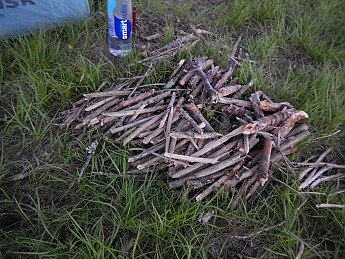 It does burn through wood fairly quickly, however you can just build up a pile of sticks and wood ready to go. If you allow it to burn down too much and then add another load of wood it will generate a huge amount of smoke until it gets going again (turning up the fan helps get it re-started quicker). I hope they fix the hook melting issue on this model and also add USB-C charging. If they could reduce the weight further as well that would be a plus. I took the Biolite back to the store. The manager at the store was happy to either give me my money back or a new one. However after a bit of discussion about how it was a great product to use (apart from it melting) I decided to take up the offer of a replacement and if the replacement melted then I could still get my money back within 1 year of the original purchase date. They had not heard of others melting, however I also pointed out that this was a less popular model and after googling the issue I found several other instances of it happening. They were keen for me to give the replacement another go so I agreed. For reference these are the instances I found. I only found these after the cookstove melted. These pictures below were on the first use. I have to say it cooked the meal perfectly. It was a nice hot flame which is what I wanted for frying. I had an idea for camping I could take a zip lock back of frozen pre-seasoned and oiled chicken or beef and make wraps seeing as these don't need to be kept cold. 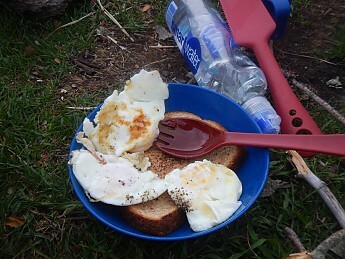 I could use a lighter hiking frypan or crepe frypan. Hopefully Biolite will see this and update their design as its a fantastic product but just needs a few tweaks. I will see how the replacement goes after a few months. Welcome to Trailspace, Andrew. Can you show us a pic of the melted hook? It would be helpful for anyone considering buying this unit. Welcome to Trailspace, Andrew. Too bad about the melting issue. Are you going to keep the BioLite, or exchange it for something else? Good luck with the replacement one, Andrew. Please let us know how it works out.